–Michael Burlingame, Abraham Lincoln: A Life (2 volumes, originally published by Johns Hopkins University Press, 2008) Unedited Manuscript by Chapter, Lincoln Studies Center, Volume 1, Chapter 14 (PDF), 1625-1626. –Lowell H. Harrison, Lincoln of Kentucky (Lexington: The University Press of Kentucky, 2000). 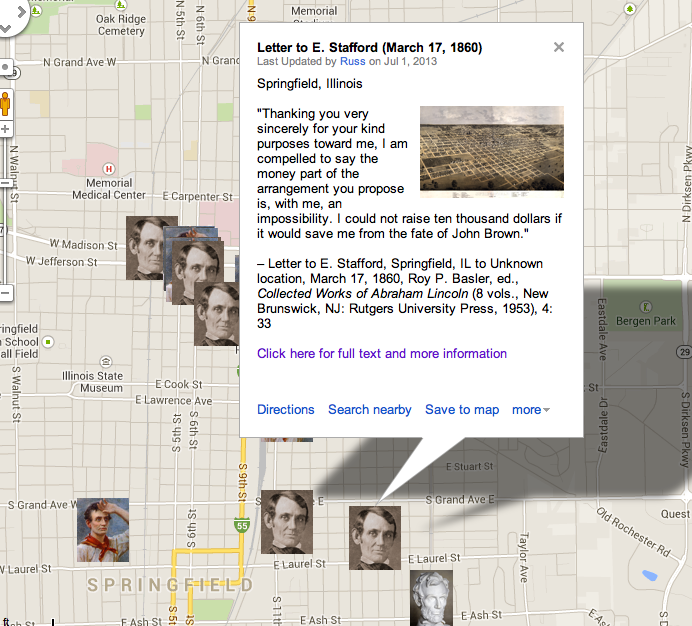 Springfield, Illinois, March 17, 1860.